Glowing endorsements are not what motivate Eric Chavot though, as here is a chef spurred on by a deep passion for French cuisine and an almost old-fashioned love of hospitality. Both of which have remained undimmed by nearly twenty years in the spotlight – as Head Chef at Interlude de Chavot and then Chavot at the back end of the 1990s and throughout a ten-year spell at The Capital Hotel - where he held two Michelin stars before giving it all up for a spell consulting in Florida. 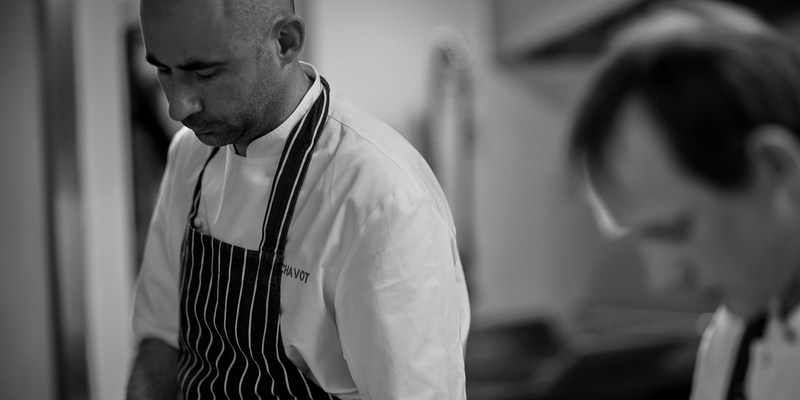 Renewed and reinvigorated by his sojourn to the Sunshine State, Chavot returned to London in 2013 and opened up Brasserie Chavot in a Mayfair space owned by The Westbury Hotel – quickly winning praise from critics and accruing a Michelin star despite his avowal not to chase awards. At the end of December 2015, Eric closed Brasserie Chavot to search for pastures new. Equally adept at constructing a dish worthy of two Michelin stars as he is knocking up a rustic stew, what unites Chavot’s cuisine is a sensual understanding of tradition. And whether he is twisting the classics – as he did with his famous lobster with coconut broth dish at The Capital – or reproducing them with all the expertise you would expect of a pupil of Pierre Koffmann, Marco Pierre White and Raymond Blanc, his food rarely fails to impress.